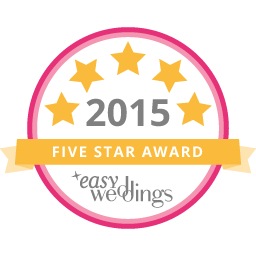 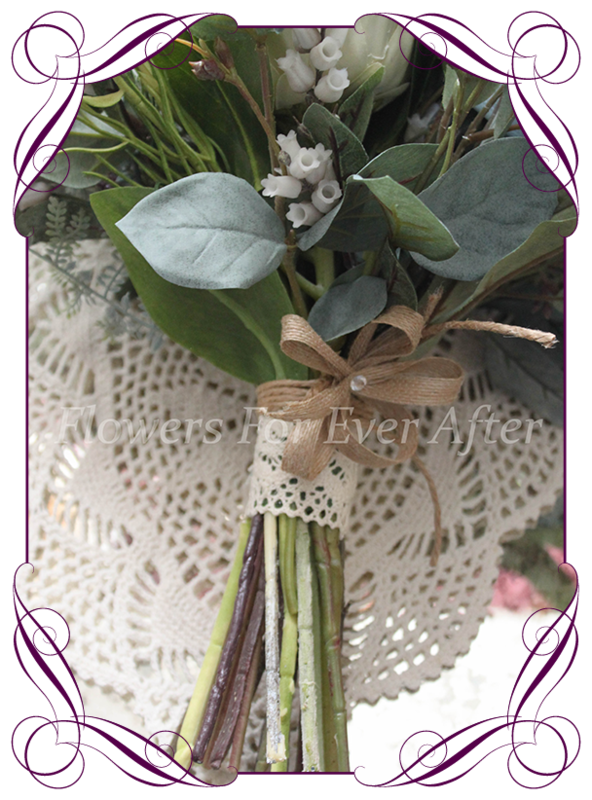 A rustic boho style posy that will work perfectly with most wedding colour schemes. 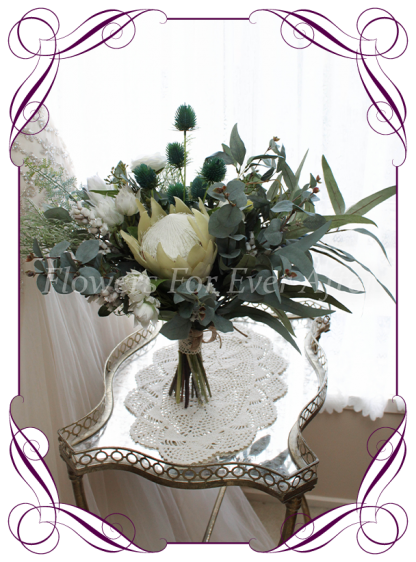 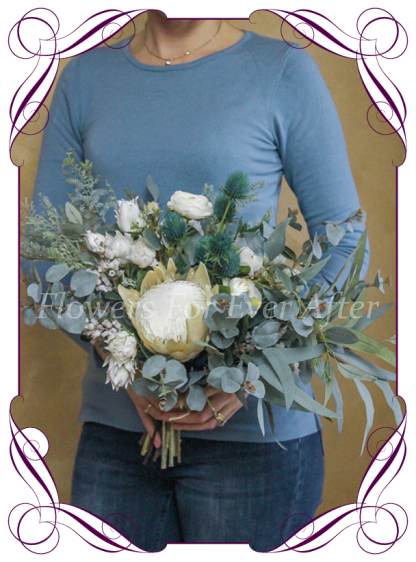 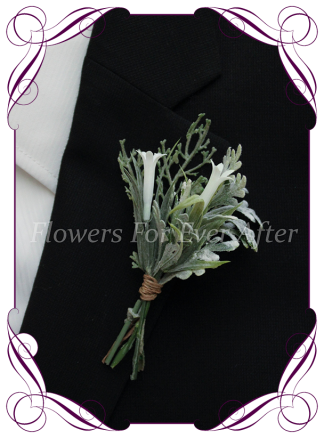 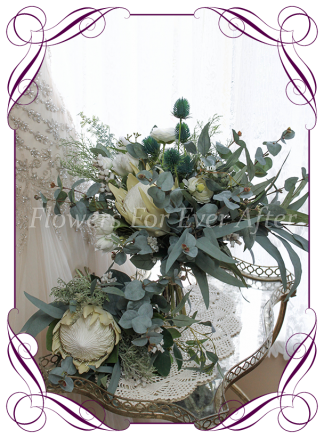 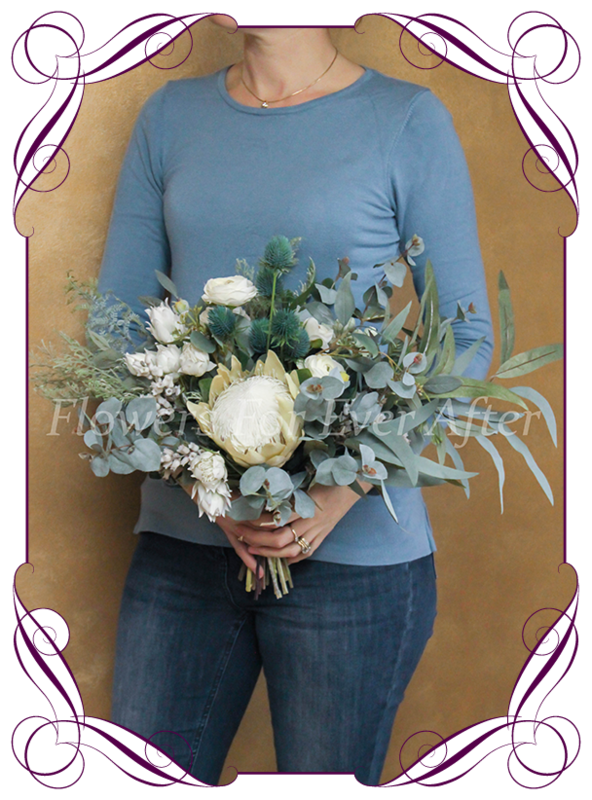 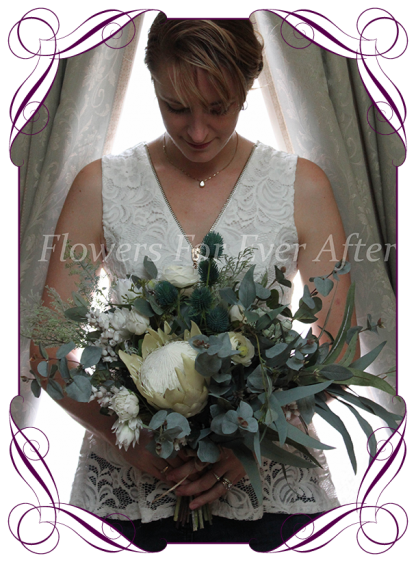 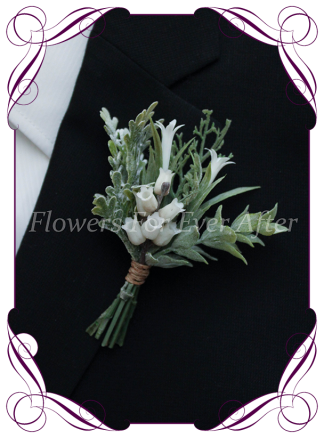 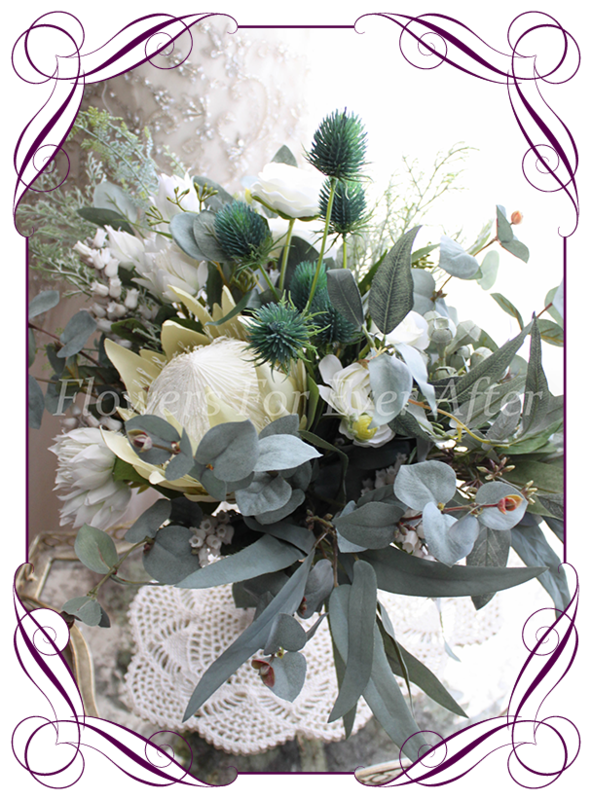 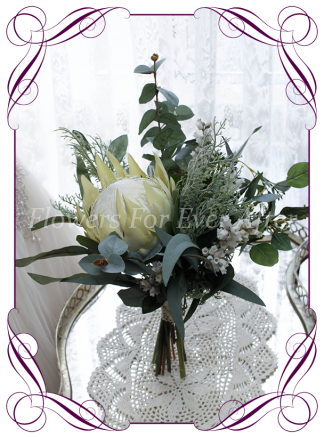 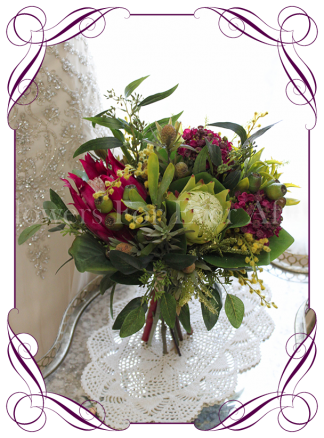 With a focus on more silver foliages, this posy features ivory pieris, fine coral fern, white blushing bride protea, ranunculi, king protea, blue gum, long leaf eucalypt, teal sea holly thistle, and mixed gum foliage. 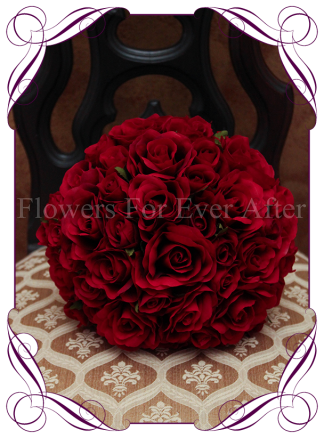 The stem is partially wrapped in a crotchet lace with a burlap twine bow accent…other options available in the drop menu below.